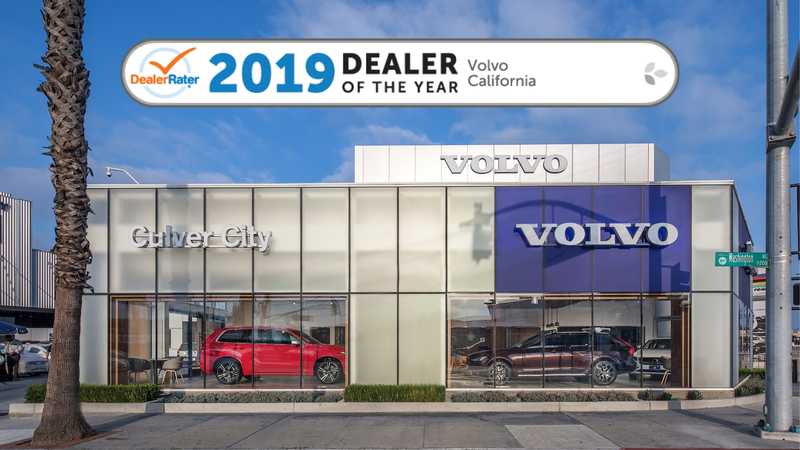 Culver City Volvo Cars Wins the 2019 DealerRater Dealer of the Year Award! 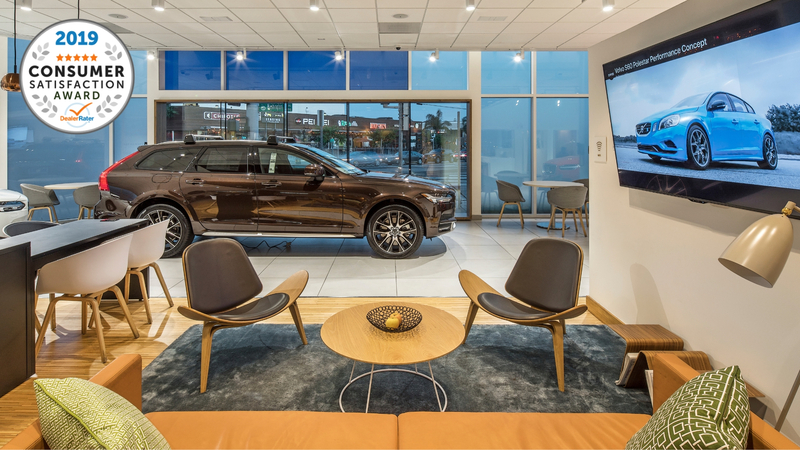 "Car buyers have spoken and have identified Culver City Volvo Cars as the best Volvo dealer to do business with in CA," said DealerRater General Manager Jamie Oldershaw. We are so proud to announce that Culver City Volvo Cars has been awarded both the 2019 DealerRater Dealer of the Year Award and the 2019 DealerRater Consumer Satisfaction Award for the 3rd year in a row! Both are annual recognitions given to auto dealerships across the U.S. and Canada that consistently provide outstanding customer service as rated by online consumer reviews on DealerRater.com. The DealerRater Dealer of the Year Awards are chosen based on reviews by new- and used-car shoppers and those who took their vehicles into dealerships for service. Customers of Culver City Volvo Cars rated them on their customer service, quality of work, friendliness, pricing and overall experience. Consumer Satisfaction Awards are given to the top 10 percent of U.S. new-car dealers based on their PowerScore™. The PowerScore™ is determined using a Bayesian algorithm that factors the dealership's average DealerRater consumer rating and the total number of reviews written about the dealership during the 2018 calendar year. Culver City Volvo Cars has demonstrated consistently high PowerScore™ ratings for customer satisfaction, placing it in the top of its class. "The quality and number of reviews for Culver City Volvo Cars speak volumes of the top-notch experiences they provide to customers." Culver City Volvo Cars has achieved consistently high scores on the DealerRater website, placing it among the top dealerships nationwide. "DealerRater's extensive review database allows shoppers to identify dealerships that are providing excellent customer experiences, and it's clear that Culver City Volvo Cars stands out amongst its peers in the U.S." Online shoppers visiting Culver City Volvo Cars' dealer page will find a "2019 Consumer Satisfaction Award winner" badge on their profile to instantly recognize it as a high quality dealership.